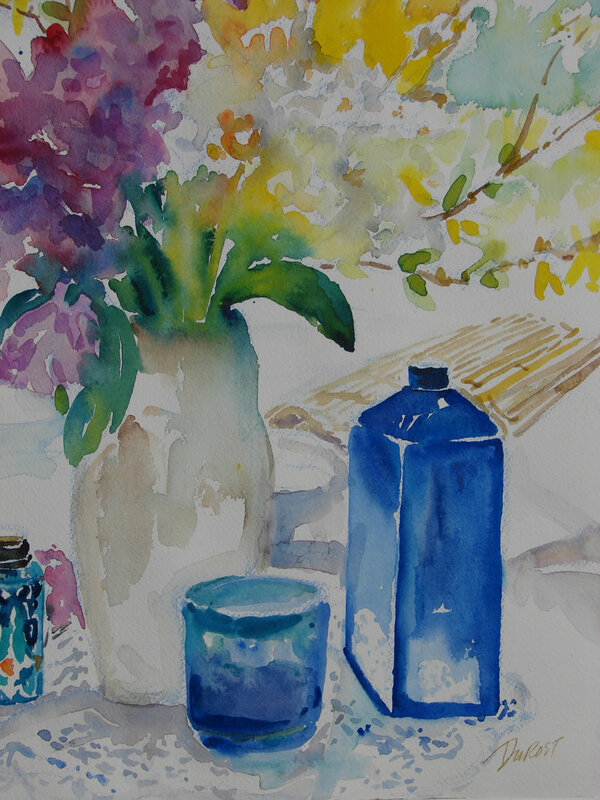 I paint because I am struck by the multitude of colors and sights of Nature. I paint as a form of meditation releasing my energy, joy, sadness, or love. I paint as an expression of my relation to the whole, to Nature. The browns, blues, ochres, reds, purples, blacks, and yellow are so vivid; even the snow presents color in reverse. I also have a longing for the space of Nature: the sky, the water, the trees, the rocks opening up. I see the relationship between forms and space - two trees stand juxtaposed leaning and finally encircling each other, two friends. I want only to keep recording my feeling in the natural space. The best of my painting experience exists in my being present spontaneously painting with the flow of water and color. Sometimes, I paint a scene over and over, later to learn a message exists. 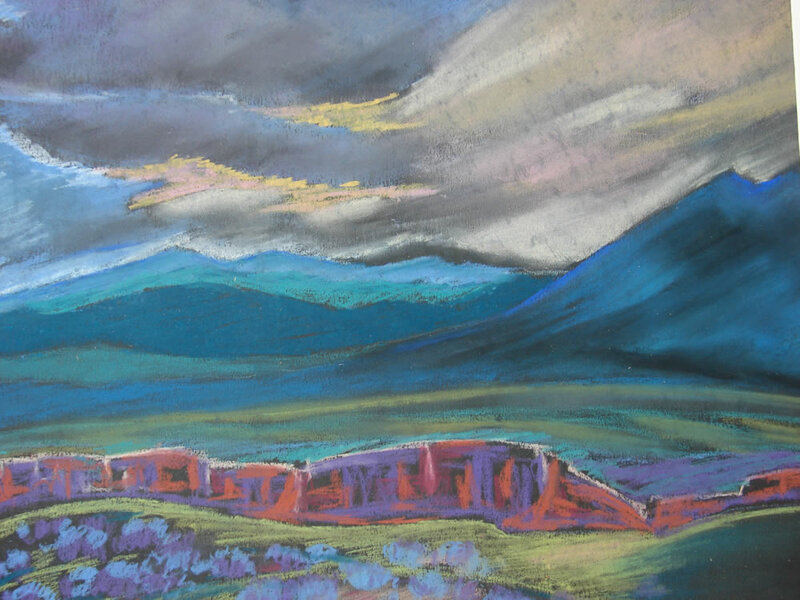 In New Mexico, for instance, I paint a mountain scene again and again, later to learn Zuni women ascend the heights of this mountain to gather a ceremonial flower which grows only on this mountain. I am drawn to certain places, the fields and marshes and woods of New England, the canyonlands, rivers, and mountains of New Mexico and Arizona, the islands of Cape Verde, or the rainforests of Costa Rica. There is for me a connecting force between mind and Nature, a play of consciousness and spirit. I acknowledge land and wild animals, and especially the space without the importance of humans. The artist in me follows instinct and intuition, is connected to all peoples, crosses all boundaries, is open and searching. I also believe firmly in sharing and passing on the tradition and experience of painting and being an artist. In this exchange with many others, I continue to learn and grow and play.